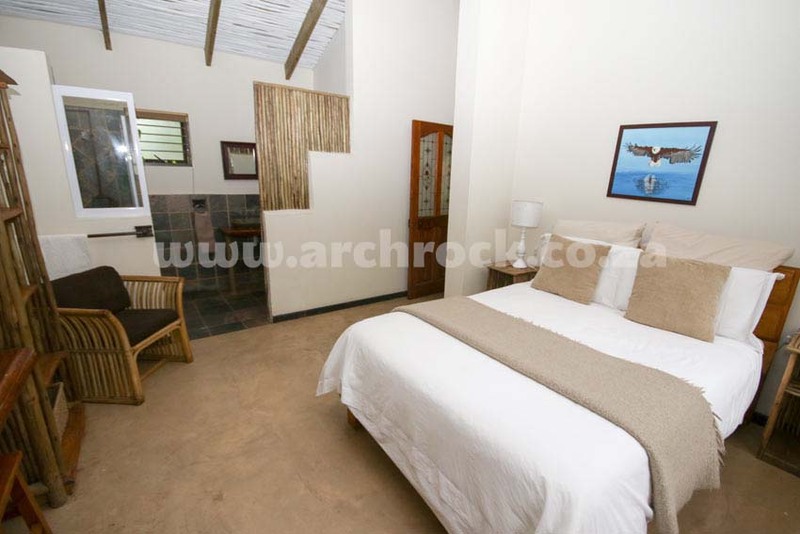 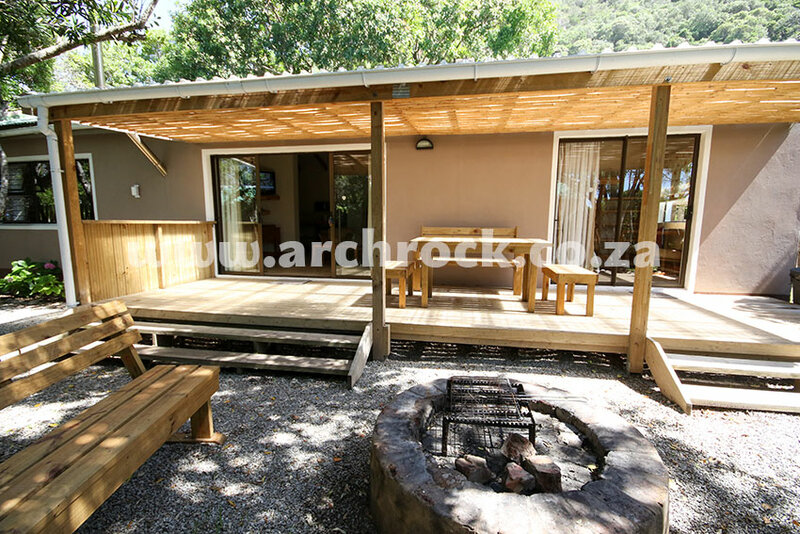 Arch Rock Plettenberg Bay South Africa - Our Forest Cottages. 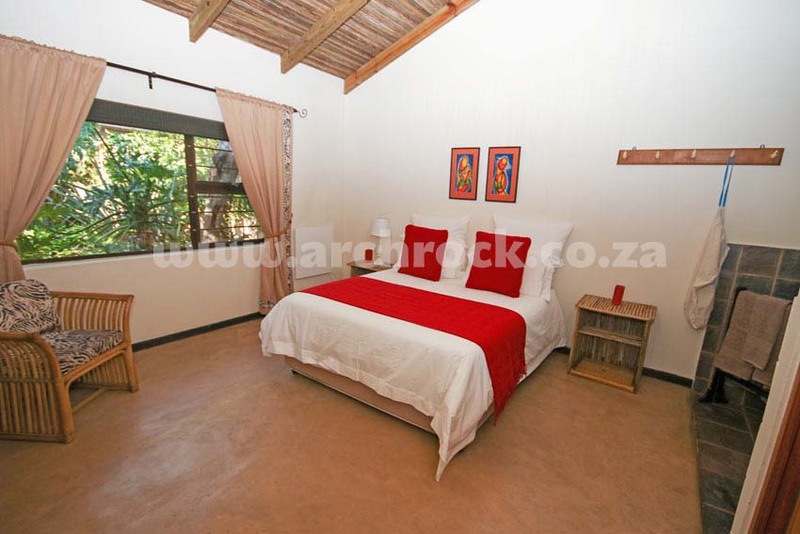 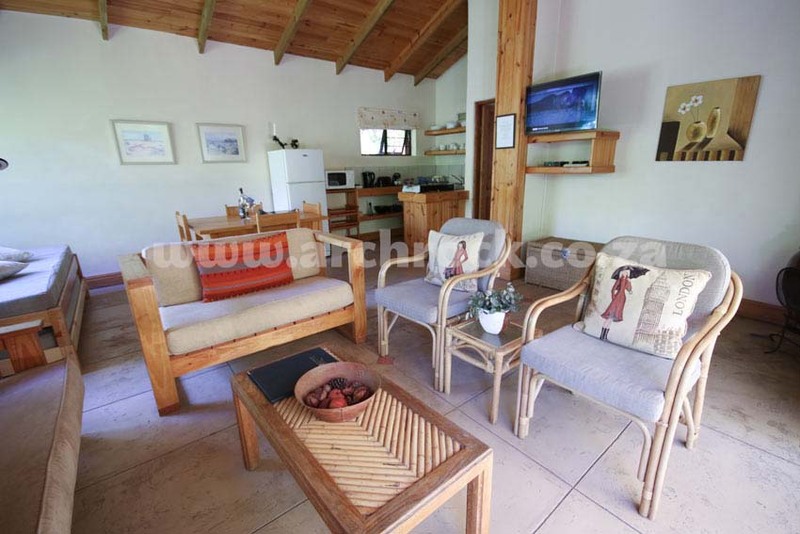 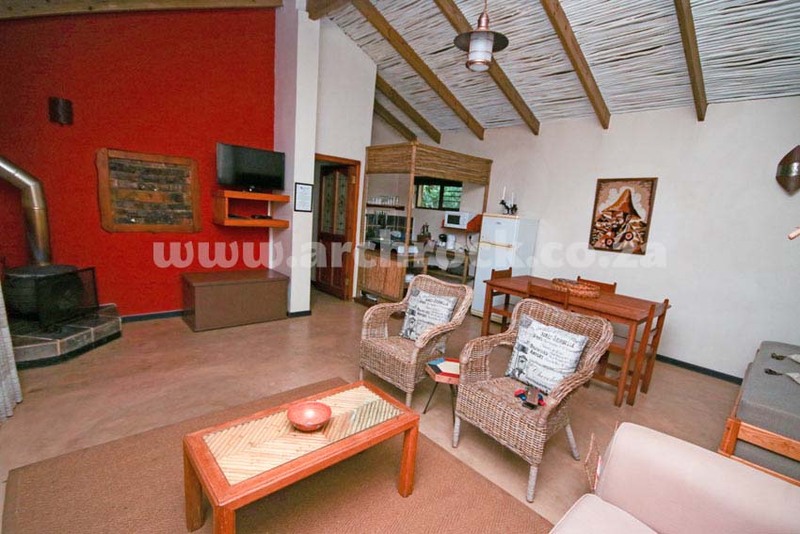 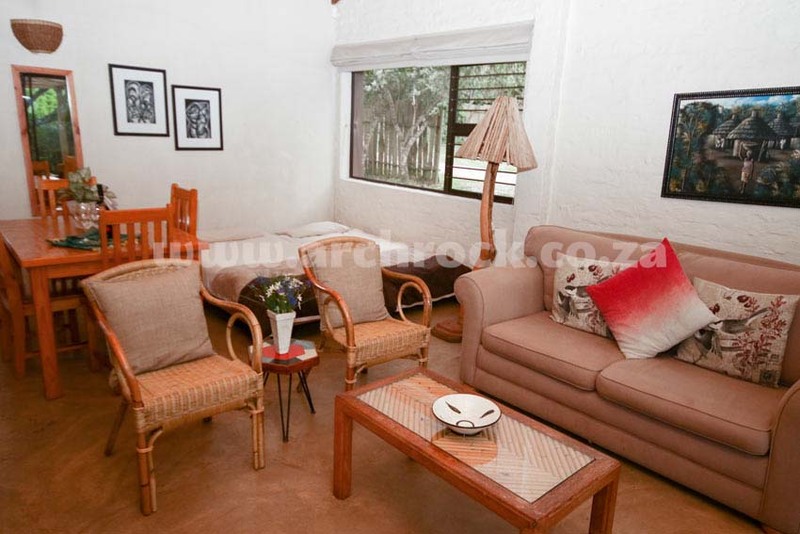 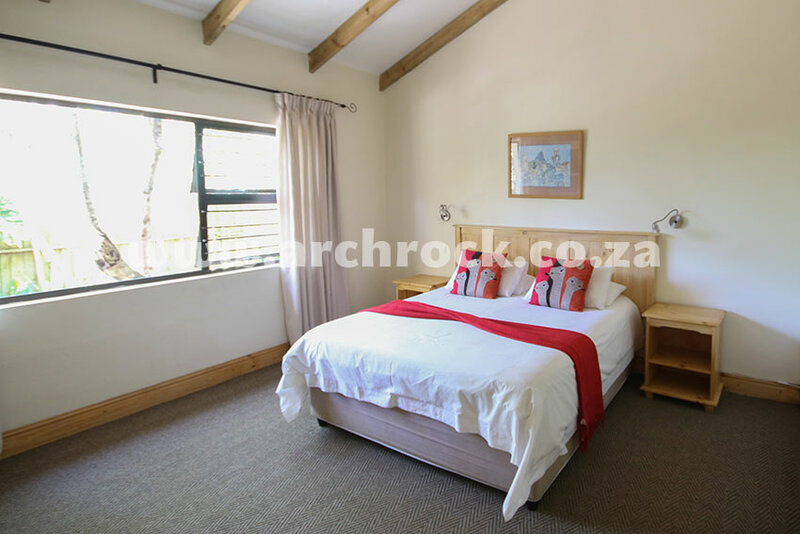 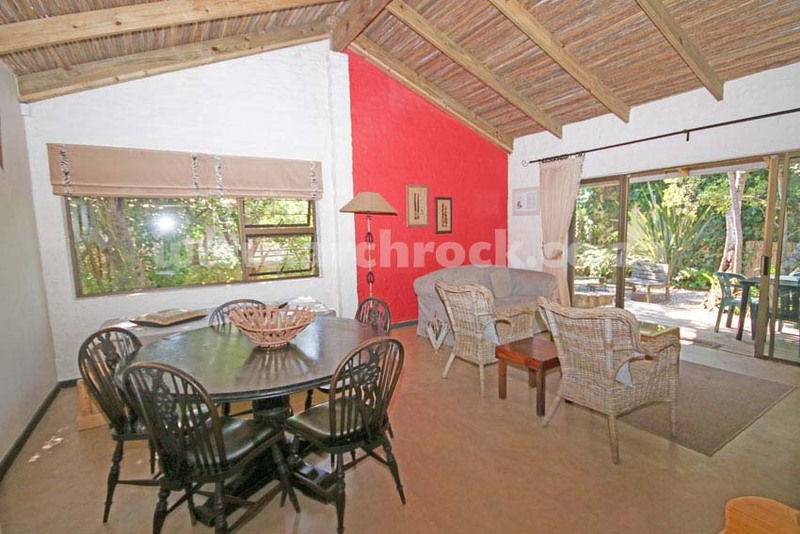 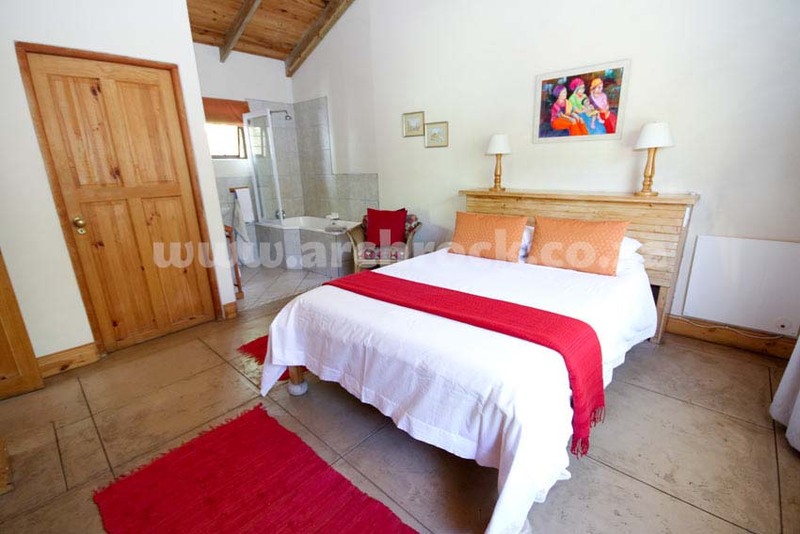 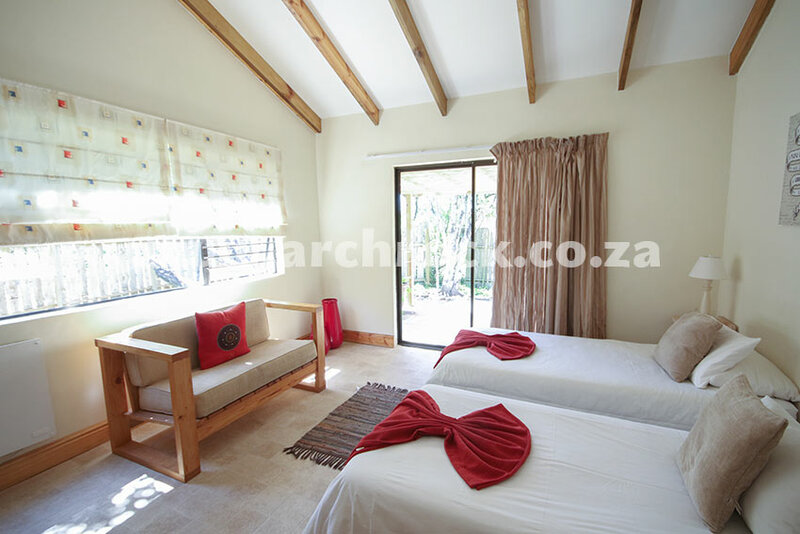 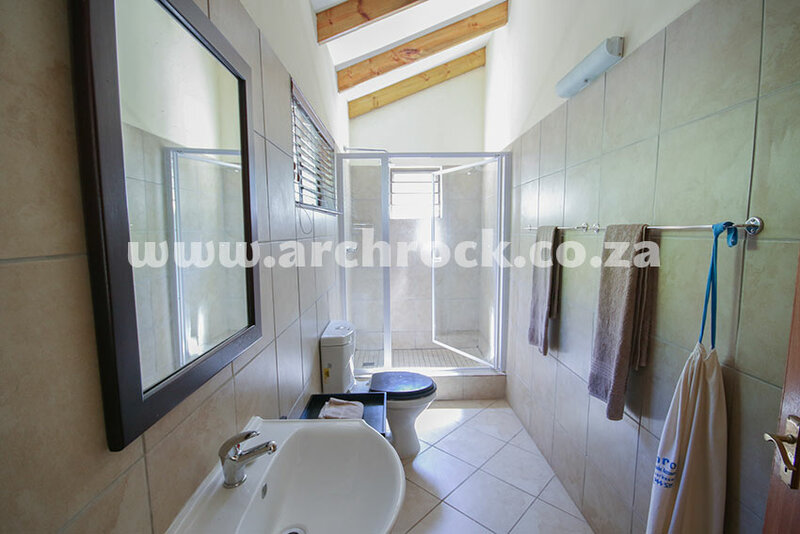 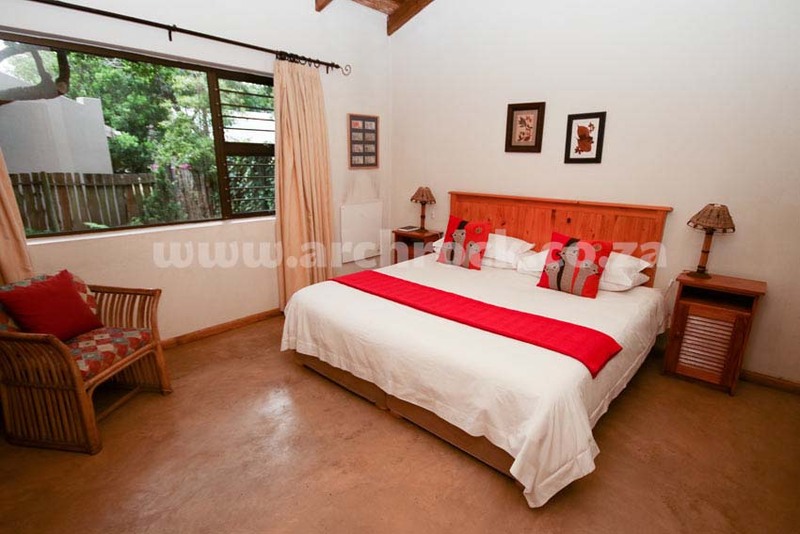 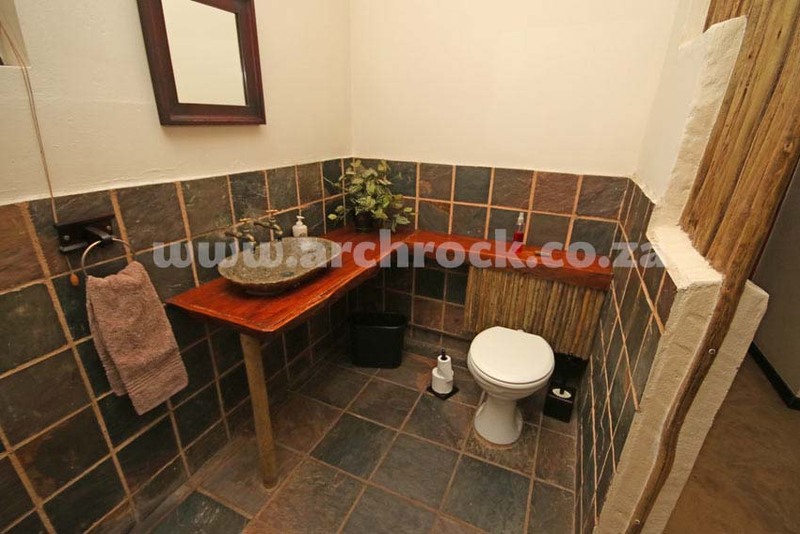 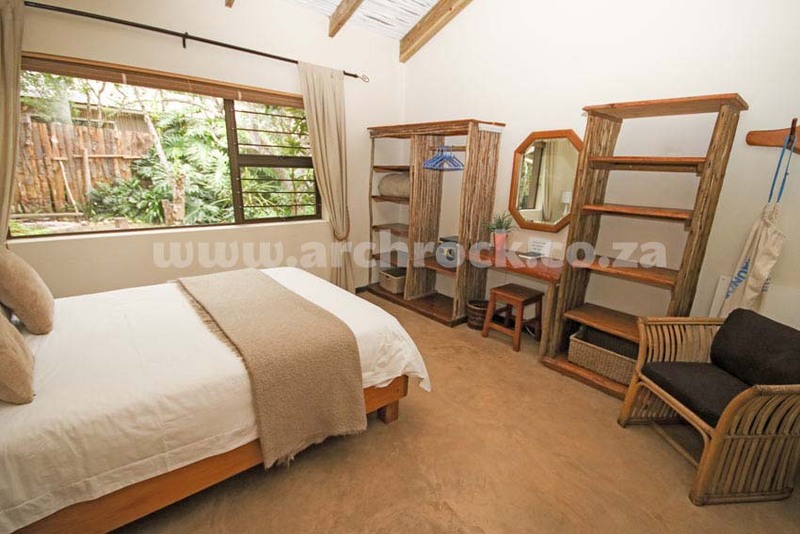 These chalets have one bedroom and an en suite bathroom. 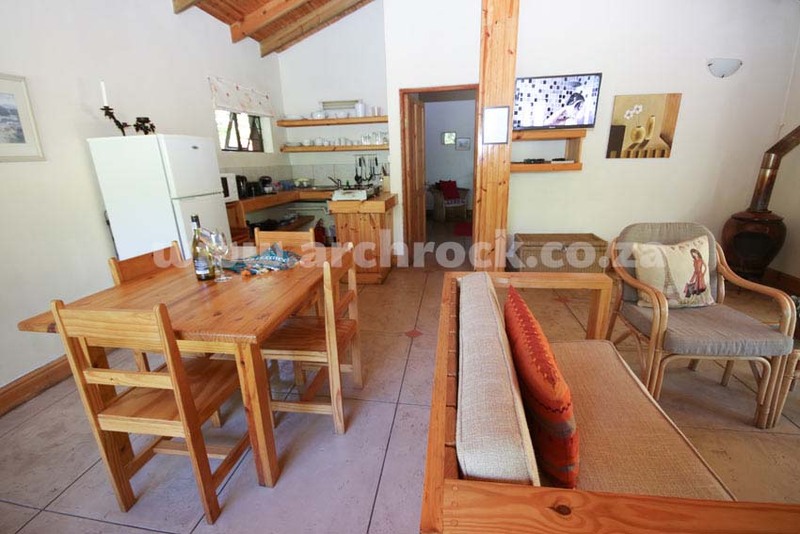 The open plan kitchen/lounge has either a sleeper couch or two stack beds to acommodate extra persons. 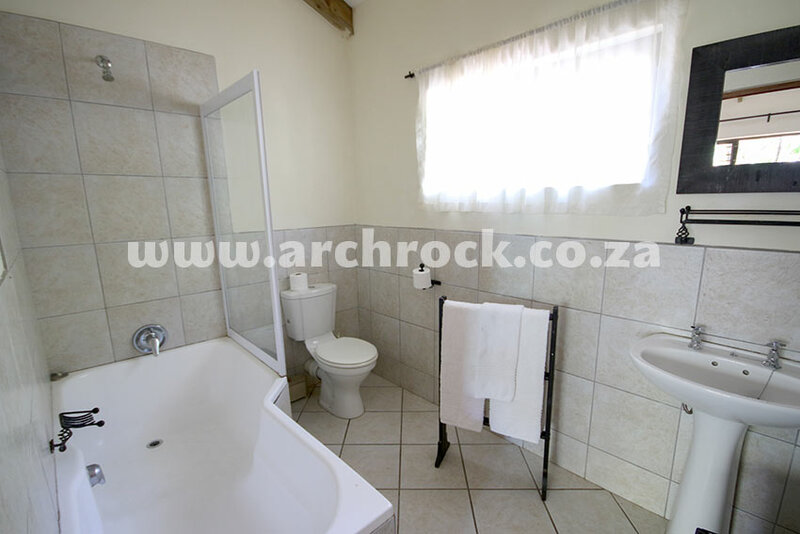 Two of the chalets have a shower/bath, the rest only showers. 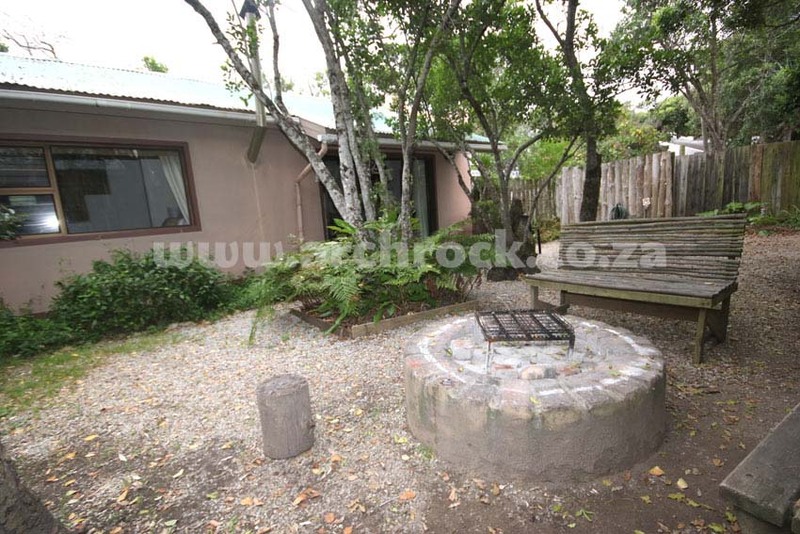 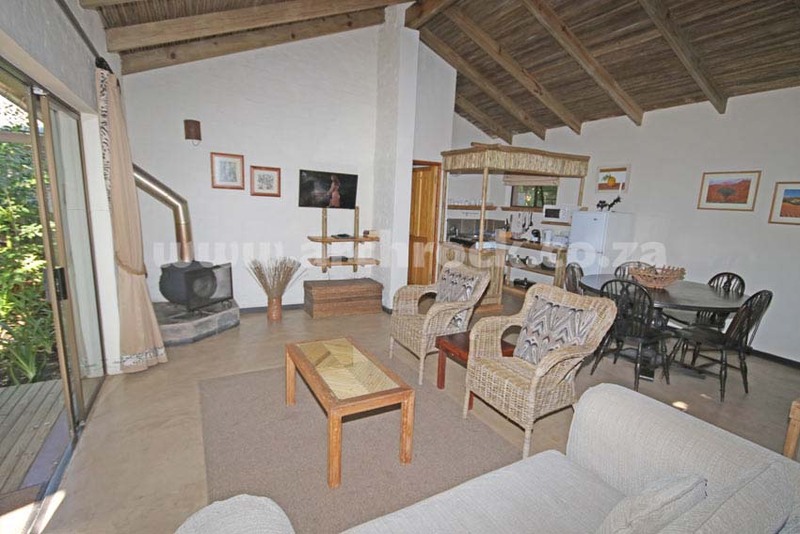 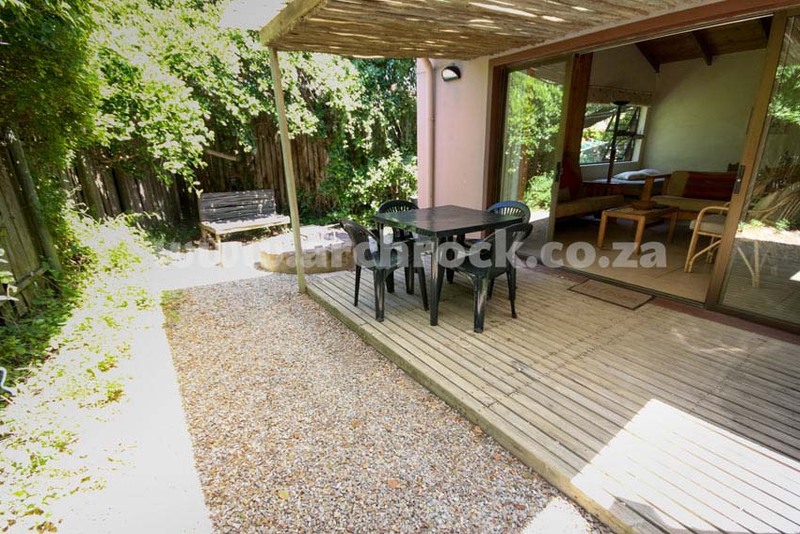 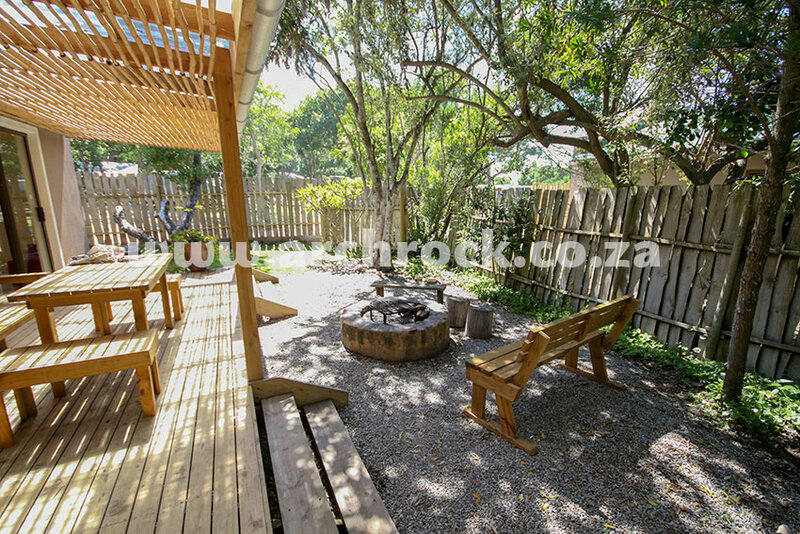 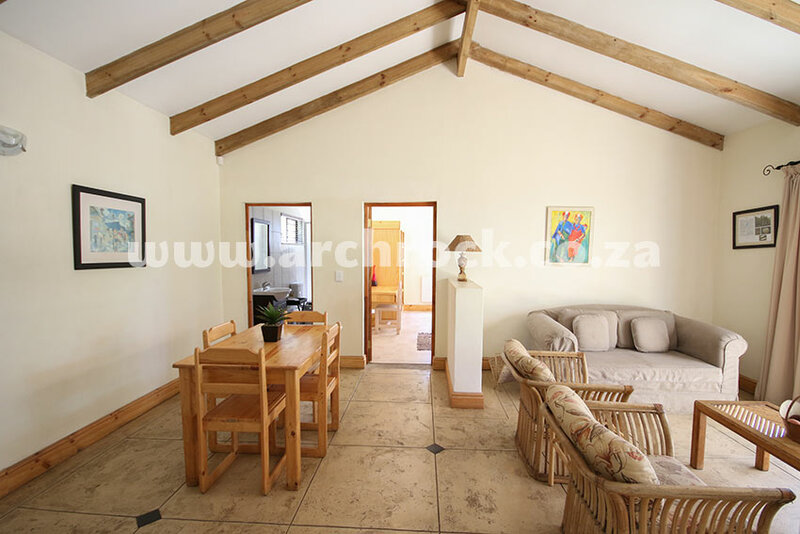 They have the outside braai (barbeque) area and a pot fireplace in the lounge. 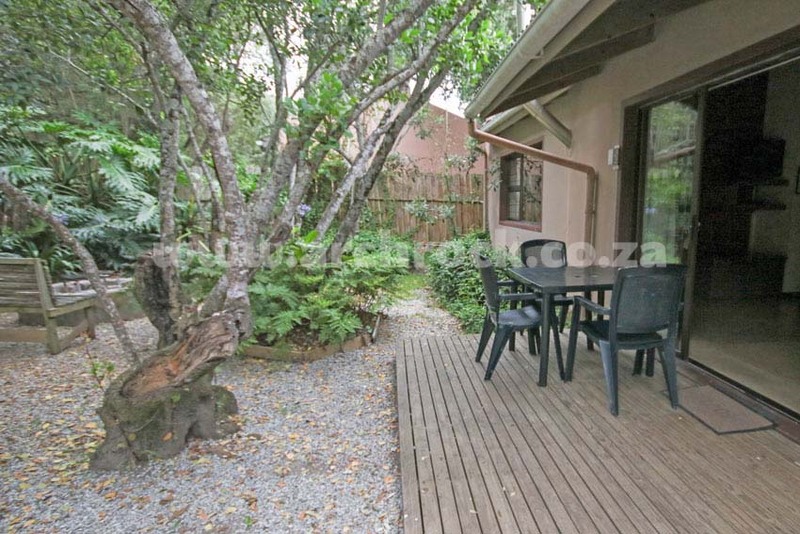 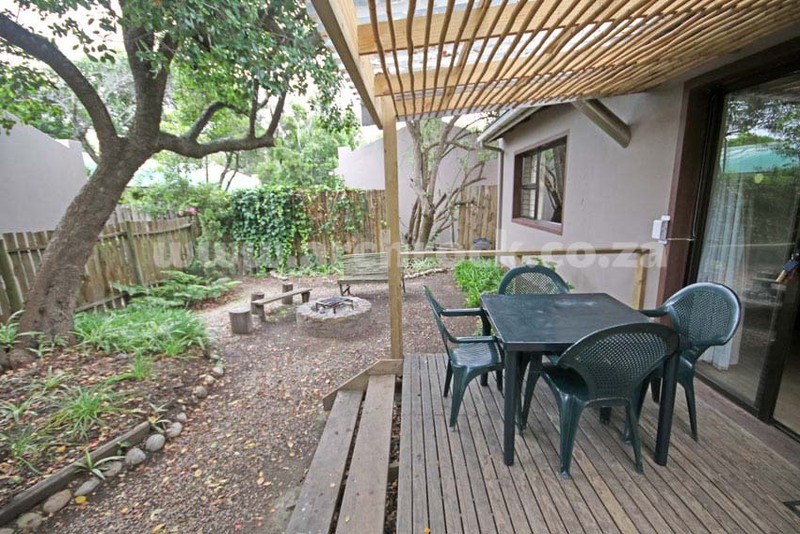 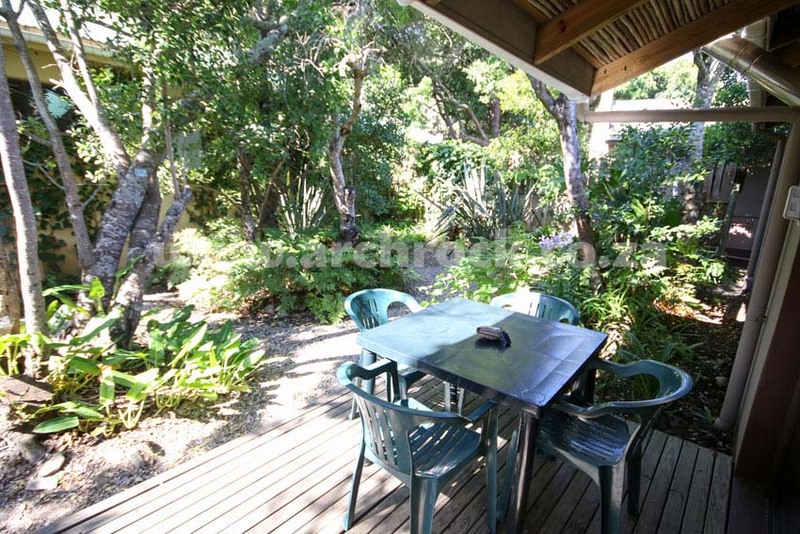 Each unit has its own private entrance with patio and is set in a beautiful garden under trees.